Wisconsin Gov. Scott Walker is expressing his condolences to the family of a firefighter killed in a massive natural gas explosion. 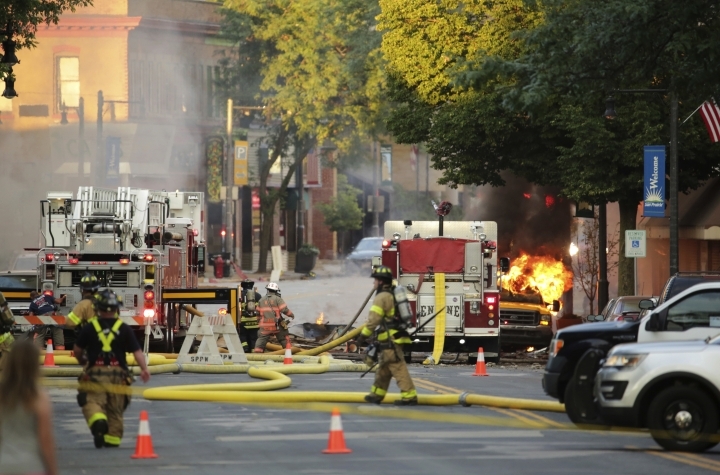 Authorities say a contractor ruptured a natural gas line in downtown Sun Prairie on Tuesday evening. 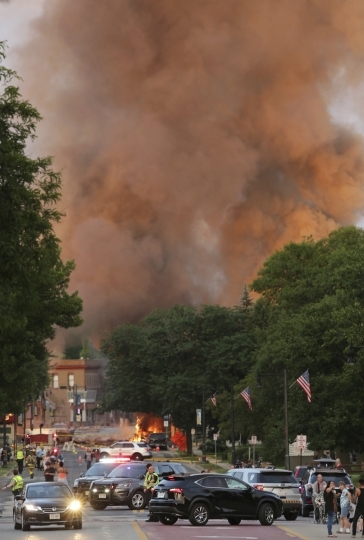 The gas somehow ignited, leading to an explosion that leveled half a city block and claimed the life of 34-year-old Sun Prairie Fire Department Capt. Cory Barr. He leaves behind a wife and twin 3-year-old girls. Walker toured the rubble Wednesday evening and spoke at a news conference in a city park. He offered his love and prayers to Barr's family and children. 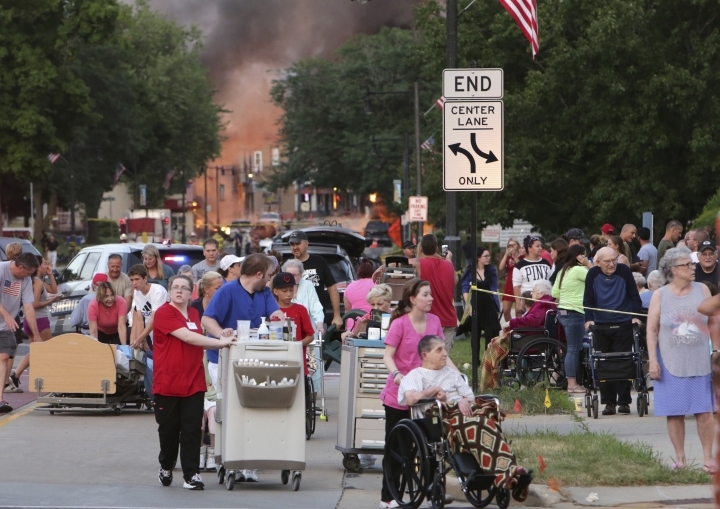 He also praised firefighters and police who evacuated dozens of people from the area before the explosion. 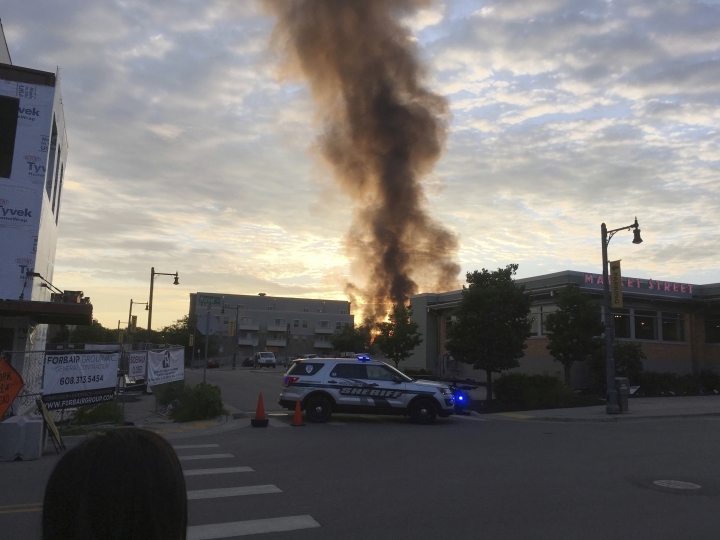 Sun Prairie police Lt. Kevin Konopacki said authorities are in the midst of an in-depth investigation to determine how the line was ruptured and what sparked the explosion. Sun Prairie is about 15 miles (24 kilometers) east of the state Capitol building in Madison. The wife of a Wisconsin firefighter killed in a gas explosion says she couldn't have asked for a better husband. Sun Prairie Fire Department Capt. Cory Barr was killed Tuesday when a natural gas explosion leveled most of a city block, including the tavern Barr owned. His wife, Abby Barr, released a statement to The Associated Press on Wednesday afternoon saying he had been a firefighter for 15 years and was the "best husband a girl could ask for." She says he lived his life by the motto "happy wife, happy life." The couple was raising a pair of twin girls who just turned 3. She says the girls would run up to him screaming "Daddy's home!" whenever he walked through the door. 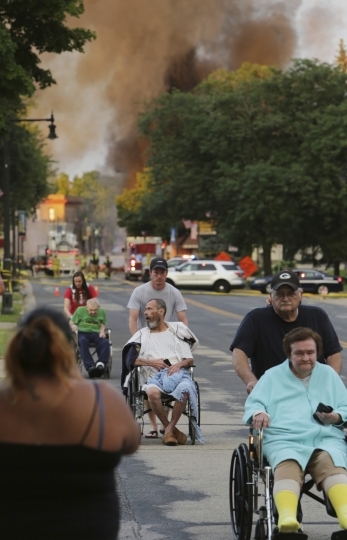 Firefighters are doing a secondary search of buildings damaged in a fatal explosion and fire in the southern Wisconsin community of Sun Prairie, although officials say they have no reports of any missing people. The Madison Fire Department's Heavy Urban Rescue Team is also evaluating the structural integrity of the damaged downtown buildings. One of the five buildings that sustained significant damage was owned by the firefighter who was killed in the explosion and fire, Cory Barr. 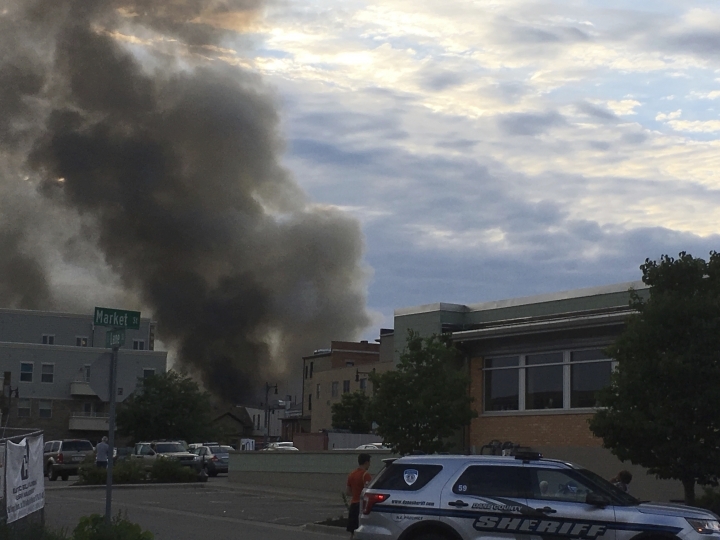 The Sun Prairie Police Department says people who were evacuated within a-half mile radius of the explosion are being allowed back in their homes once they have been cleared by a representative of We Energies. 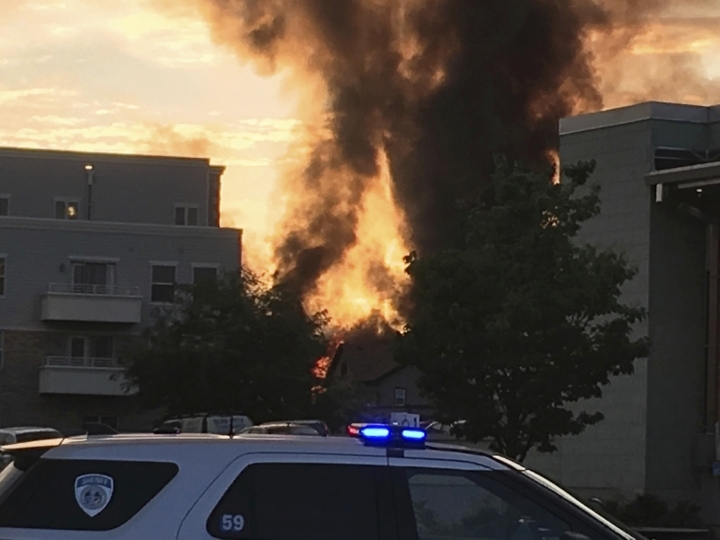 The utility says a contractor punctured a gas line Tuesday evening causing a leak that led to the explosion and fire about a-half hour later. Patrick DePula owns a restaurant just down the street from the Barr House. He said he's known Barr for several years. He said Barr was very proud of Sun Prairie and wanted to both preserve the city and transform it into a travel destination. He didn't know the exact number of civilians hurt.